Would Your Child Know What to Do If . . .
He/she got lost at a shopping mall? A nice, friendly stranger offered him/her a ride home after school? A babysitter wanted to play a secret game that no one would know about? Rehearse with your child his or her full name, address, and phone number, including zip code, and how to make emergency phone calls from home. Teach your child to go to a store clerk or security guard and ask for help if you become separated in a store or shopping mall. Tell them never to go into the parking lot alone. And, when possible, accompany your child to the restroom. Tell your child never to accept gifts or rides from someone he or she does not know. Adopt a code word to be used if you have to ask someone else to pick up your child. Teach your children that no one, not even someone they know, has the right to touch them in a way that makes them feel uncomfortable. Tell them they have the right to say "NO" to an adult in this situation. Advise them it's OK to tell another adult they trust if this situation occurs. Walk the neighborhood with your child. 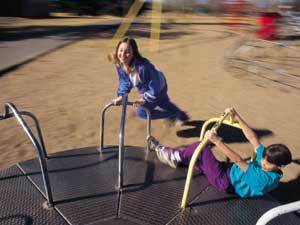 Pick out the safest route to school and friends homes. Avoid danger spots such as alleys and fields. Identify safe places to go in an emergency, like a neighbor's house, a SAFE HOUSE (usually a neighborhood day-care facility), or an open store. Encourage your child to walk and play with friends, not alone, and if playing at night, to stay in well-lighted, open areas where others can see and hear them. Teach your child to walk confidently and stay alert to what's going on. Don't hang a house key around your child's neck. It's a telltale sign that you won't be home when they return from school. Put it inside a pocket or sock. Encourage your child to look out for other kids' safety and to stay away from strangers who hang near playground areas, public restrooms, and empty buildings. A stranger is someone the child does not know well. Teach your child to remember and report to you the license plate numbers and descriptions of people who offer rides, hang around playgrounds or appear to follow them home. Teach your child to scream "Stay away from me" if someone tries to grab them, and run to the nearest place where people are around. 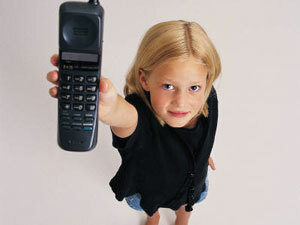 Make sure your child can reach you by telephone, wherever you are. Have your child check in with you at work or with a neighbor when he or she gets home. Caution your child about answering the phone and accidentally letting a stranger know he or she is home alone. Let the answering machine screen the calls prior to the child answering the phone. Post important phone numbers near all your home phones for: Police Non-Emergency is 760-839-4722; Emergency is 9-1-1; Fire Department (to report a fire) is 9-1-1; Poison Control Center is 800-876-4766; Mom and/or Dad at work or pager number; Neighbor. Tell your child to always let you know if they are going to visit a friend, or are going to be late coming home from school. Agree on rules for having friends over or going to someone else's house when no adult is present. Work out an escape plan in case of fire. If a fire does start while your child is home alone, advise them to always call 9-1-1 from a neighbor's and to get out of the house as quickly as possible. Tell your child to never open the door to a stranger. Tell your child to call 9-1-1 if someone tries to get into the house, or seems to be hanging around. Teach your child how to work door and window locks, and to always keep the garage door closed. Discuss fun ways to be home alone. For example—feed pets, read books, learn how to use home computer, etc.